(Fort Lauderdale, FL – April 6, 2018) – The Housing Authority of the City of Fort Lauderdale (HACFL) will host a special tour of its Northwest Gardens Neighborhood for Miami-Dade and Broward County leaders interested in affordable housing communities on Saturday, April 7, 2018 from 11:30 a.m. to 2:30 p.m. Tour will commence at 1204 8th Street, Fort Lauderdale, FL. Northwest Gardens is the State of Florida’s first sustainable neighborhood, and the second in the nation, third in the world. Tour attendees will learn how the HACFL turned a $200,000 HUD grant into a $300 million program that redeveloped their entire public housing portfolio into clean, modern and innovative units along with substantial improvements to the public realm. In the process, HACFL used less than $400,000 in CRA TIF funds. Conversely, HACFL has paid almost $8 million in permit and impact fees to the City and County, as well as gave the City and annual payment in lieu of taxes (PILOT Payment). Northwest Gardens was part of the HACFL’s 10-year plan to demolish and build four phases of housing units in the area. After much success on the four phases, HACFL built a fifth phase, which was completed four years ahead of schedule. 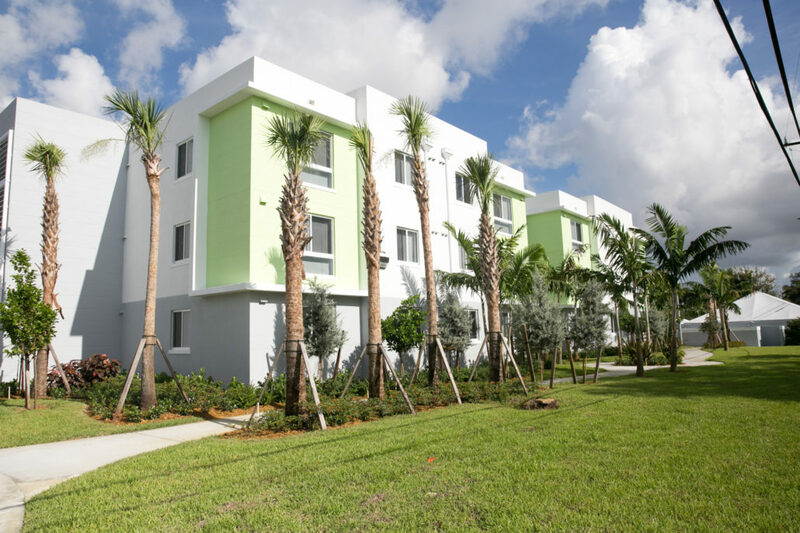 Currently, Northwest Gardens is the first LEED-ND certified community in Florida and the second nationwide. It also received a national honorable mention in the U.S. Environmental Protection Agency’s 2012 Smart Growth Award for Equitable Development. Northwest Gardens features six community gardens, an urban farm, free art classes and workshops (YAA ArtHOUSE), clubhouse activities (Y-Fit), and more. Through an alliance with the YMCA of South Florida and other agencies, Northwest Gardens’ residents are engaged in numerous programs, such as: chef-based classes covering healthy food shopping and preparation and coupon clipping; homeownership education courses; summer programs including the hip-hop dance academy; the Sistrunk Healthy Community Zone; free GED classes; and Artists in Residence programs where artists are nurtured and encouraged to develop their creativity into saleable work. HACFL is committed to community development through public engagement, providing opportunities for low-income public housing, and creating a portfolio of education, training and employment for at-risk youths through its state certified StepUP Apprenticeship Program. StepUP provides apprentices with skills to increase their potential for permanent employment and economic self-sufficiency. The program employs local residents and trains them in maintenance, painting, light construction, and cabinet making. Step-Up apprentices used these skills to build the kitchen and bathroom cabinets for the Northwest Gardens’ fifth phase. The tour will include lunch, a lively discussion about Northwest Gardens and networking. To register go to https://nwgardensspecialtour.eventbrite.com. For more information, contact Scott Strawbridge at SStrawbridge@hacfl.com or (954) 556-4100, ext. 1406.